There’s a 1964 Chevrolet Corvette with “custom bodywork” listed on the Mecum Auctions website right now, scheduled to go to auction in a couple of days. But this listing isn’t really for a 1964 Corvette. It’s for a spaceship, ready to depart this world at any moment for an interstellar journey. Even the photos tell a subpar and misleading story about this obvious space vessel, as if the person who took them wants to keep the car for themselves rather than selling it at auction. Who wouldn’t? But even those few details aren’t a fair assessment. This Corvette needs no engine, no powertrain, no interior. This ship runs on hopes, dreams and the belief that leaving this Earth by the means of widely accessible personal space flight can one day be ours. Why stop at the moon? This Space Corvette reaches for the stars. The sun? 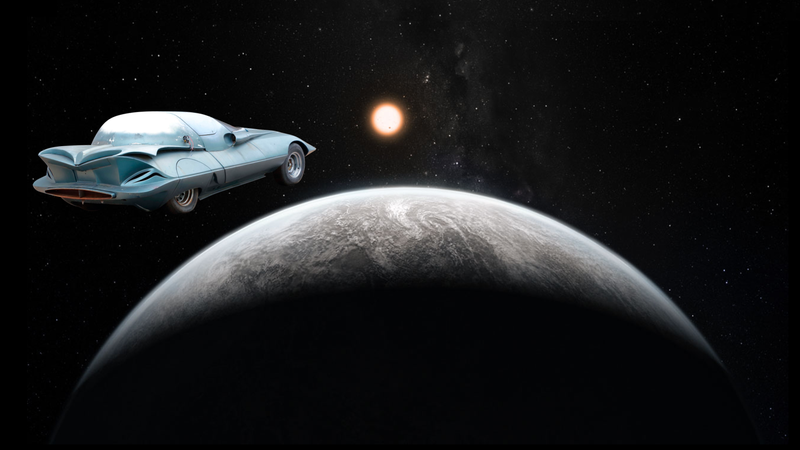 In the Space Corvette, there is no fear of the sun. There’s no interior or engine to worry about losing in a fire. A solar flare from July 14, 2017. Venus? Strong gases? With all of the rust and exposure to the elements that this Space Corvette has endured, those will not be a problem. Anybody in this Corvette would surely beat Elon Musk to Mars. Not even Pluto is out of reach for the mighty Space Corvette, with its 0-to-60-lightyears time of approximately forever. Forever. What a concept. Hopefully this Space Corvette will live forever, one day landing on a far-away planet with a utopian facade but corrupted social system, to show descendants of the ultra wealthy who fled Earth in its final hours, as they said goodbye to their earthly possessions and the population who would be left to die, that yes, we common folk too attempted space flight once.